Product prices and availability are accurate as of 2019-01-12 10:18:14 EST and are subject to change. Any price and availability information displayed on http://www.amazon.com/ at the time of purchase will apply to the purchase of this product. 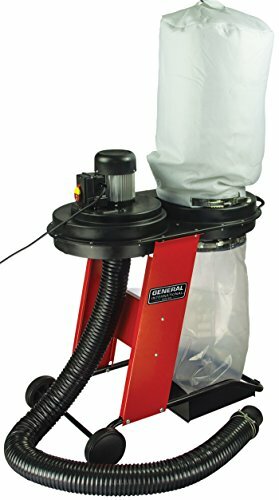 The General International Power Products BT8010 550 Watt Dust Collector is a 17 Gallon portable dust collector was designed for mobility and high performance. This BT8010 with a powerful 3/4 Horsepower motor, can be used for the general cleanup of light commercial properties and/or vacuuming hard surfaces or carpets. 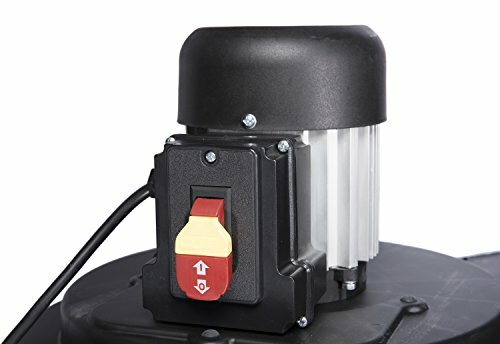 But is designed to collect, capture and control dust generated by hand held power tools, surface preparation equipment and manufacturing machinery. With its heavy steel mobile base and frame with PVC wheels and hose, just turn it on and go to work. Dust collectors are engineered to effectively remove airborne particles produced by a machine or tool such as woodworking machinery. Dust collectors are ideal for minimizing saw dust and other foreign materials typically generated from bench top and stationary saws. 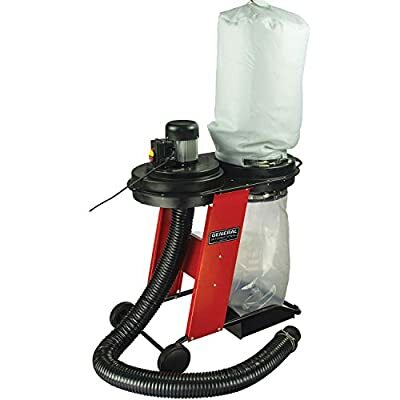 Our collector includes a 6.5 feet flexi dust extraction hose, transparent replaceable plastic lower collection bag allows view of dust accumulation and a cloth upper collection bag. Since 1946, General has proudly produced innovative powered tools focused on value delivering meaningful features that will help you complete and enjoy the work as much as the project. Backed by a 2 year limited warranty.